Logan Home Energy Services believes in the importance of maintaining a healthy, comfortable and valuable home. What better way to do just that than by contacting us to diagnose your home for energy upgrades and repairs? With our unique home energy audit in North Carolina, we will be able to identify those areas in your home that may be costing you money that you weren't even aware you were spending! Once the areas are pointed out, we then suggest the perfect repairs, upgrades and installations that pay for themselves! Even better is the fact that we're trained and certified to perform the work, or we know just the people who can help. We also provide special warranties and rebates for our customers in Central NC! Since we at Logan Home Energy Services are all about savings and value, we want to direct your attention to the resourceful rebate programs and incentives that we provide, in addition to what the North Carolina offers its residents. All ductwork insulation we install. All sheet metal straps, clamps, fasteners, hangers, locks and drive we install. All condensate drain piping, hangers, and fittings we install. All high voltage electrical wiring, conduit, fittings, straps, clamps and terminal connectors we install. All high voltage electrical disconnects, boxes, switches, and fuse blocks we install. All low voltage electrical wiring, wire nuts, straps, ties, and connectors we install. All refrigerant piping we install is guaranteed to be refrigerant leak free. Warranty does not include the cost to gain access to underground or other inaccessible piping. All equipment pads, stands, jacks, and vibration elimination devices we install. Proper preventative maintenance is what allows us to offer this unique warranty. The only requirement to keep this warranty in force for a full 5 years is to pay us to renew your Energy Saving Service Agreement when due. First year maintenance is included. Are you shopping for a heating system replacement or a new AC installation? 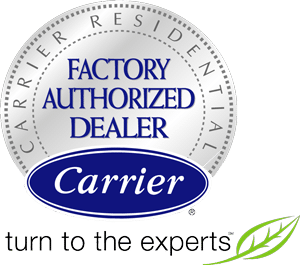 Since Logan Home Energy Services is a factory authorized dealer, we can offer our residential and commercial customers factory rebates on select systems that can offset installation costs considerably. If you purchase a high-efficiency heating or cooling system, you may qualify for state and local energy incentives. Logan Home Energy Services can help you cash in on any incentives available in your area. There are several ways to save, from federal tax credits and rebate programs to savings programs and more! For a valuable list of energy rebates in NC, make sure you visit the DSIRE site. Once on the site, just locate North Carolina and read about the programs for which you qualify. As your trusted energy contractor in North Carolina, we are certified and trained to suggest the appropriate repairs and provide the work. Contact us today regarding rebates and savings, and schedule a home energy audit in High Point, Greensboro, Winston Salem, and nearby areas including Lewisville, Clemmons, Kernersville, Oak Ridge, Walkertown, Colfax, Pfafftown, and more! Call 1-844-385-9758 or contact us online to schedule a home energy audit and home energy repairs. Logan Home Energy Services offers many services for which you can apply energy rebates or specified energy savings in Winston Salem, High Point, Greensboro, and all surrounding cities and towns.